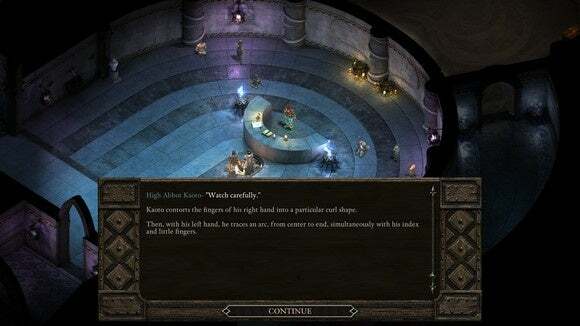 The White March's second half salvages the slow pacing of the first and ultimately redeems Pillars of Eternity's expansion. NOTE: Expect SPOILERS throughout this article for both Pillars of Eternity and the first half of the White March expansion. I recommend skipping to the end if you just want to know whether to buy the expansion as a whole. The road to hell is paved with good intentions. 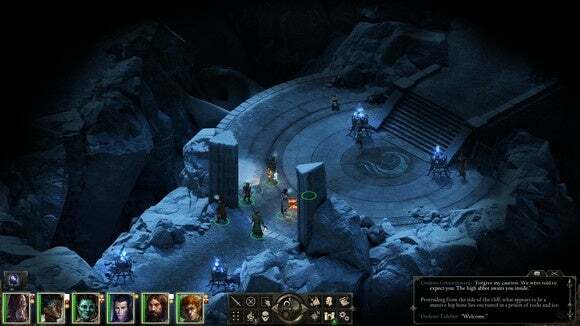 When last we left Pillars of Eternity, my party of adventurers had just completed the first half of the White March expansion and reignited the fires of Durgan’s Battery, the ancient forge hidden high in the mountains. And then we went on our merry way, content we’d saved the tiny town of Stalwart from economic collapse. How naive. 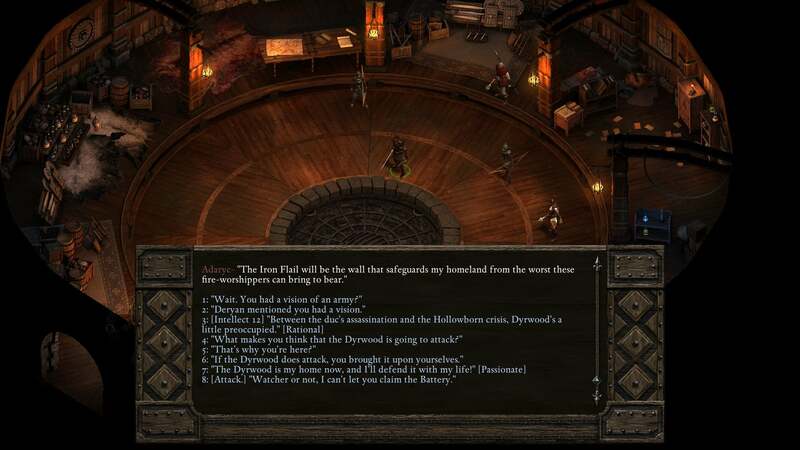 We probably should’ve guessed that the power of Durgan’s Battery would draw more than laborers to Stalwart. Eyes have turned towards the village. Hundreds of eyes. The eyes of an army set to sweep through the entire world, leaving nothing but ruin in its wake. 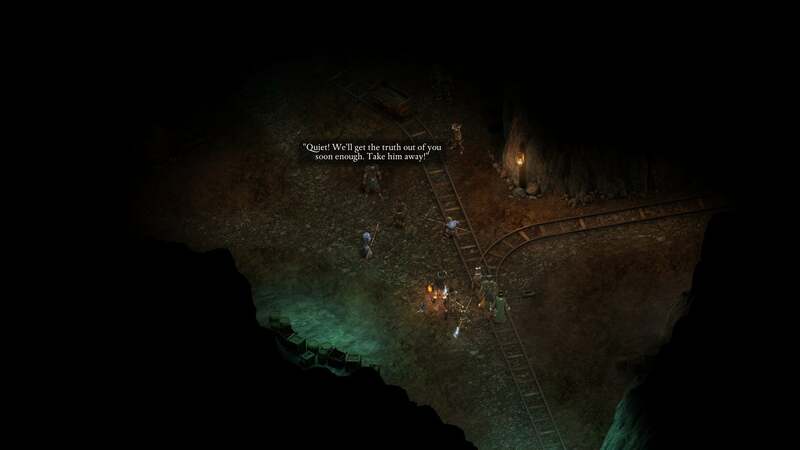 After playing through the first half of The White March last August, I said “What we have in The White March Part One is a low-stakes, low-reward dungeon crawl padded with some filler quests.” And I stand by that, because Part One was tedious. Part Two makes up for it. Apocalyptic—that’s the best way to describe The White March Pt. 2, which once again brings you to the snowy mountains surrounding Stalwart and Durgan’s Battery. If you’ve already finished the expansion’s first half, you’ll need to rest once in Dyrwood to trigger the second section. So it’s off to the White March region again. Regardless of how long ago you were actually there, the game acts like it’s been a few months. Returning to Stalwart, you’re hailed as a hero. Seemingly everyone recognizes you—“The hero who re-lit the fires of Durgan’s Battery!” People are a lot friendlier. The town is bustling. The mines are open again. But...well, there’s an army encamped near Durgan’s Battery, called The Iron Flail. Maybe that’s who you seek? It’s no wonder Part One felt dull. It was essentially a bare-bones first act, setting the stakes for a more energetic second half—problem being it was impossible to tell at the time. The mystery of Durgan’s Battery is not the end-goal. It’s the setup, another pawn in a much larger story, the flapping butterfly wing that leads to dire circumstances later on. And the issue is...Part One still exists. In order to get to The White March Part Two you’ll need to plod through ten or so hours of first-act fluff. Is it worth it? I think so. But you may value your time in an RPG differently. Regardless, Obsidian should be commended for minimizing re-traversal in The White March. I half-expected to spend Part Two double-speeding through the same areas as last time, fighting new enemies on the same ol’ maps. A few pull double-duty—namely Stalwart and parts of Durgan’s Battery—but in general you’re exploring untouched areas of the White March region, from long-forgotten abbeys to military forts. As far as raw numbers, I count five or six major new areas and one new companion (Maneha, a barbarian). There are also the usual handful of unique weapons, smaller tasks, et cetera, though nothing quite as big as the raft of new features in Part One. Perhaps the biggest change from a mechanical standpoint is (once again) to spellcasting—wizards/druids/priests/et cetera now “Master” certain spells, meaning they can be cast once per encounter without taking up a slot in your grimoire. The tradeoff is that lower-level spell tiers don’t just recharge uses out of combat anymore, as far as I can tell. But these are small tweaks, and they rightfully play backup to the story this time around—a story that builds to a climax that’s honestly as good as anything in the main Pillars of Eternity storyline. Perhaps better, given The White March’s shorter overall length. I clocked the second half at ten hours, bringing the expansion to twenty hours total. Not too shabby. For those of you who skipped the spoilers: I (with some caveats) like it. The White March has its issues—pacing problems in the first half, an over-reliance on huge groups of enemies in the second, and three companions who aren’t given enough time to breathe before their quests are over—but it’s a solid expansion with some incredible moments sprinkled throughout. I still think it’s a better piece of content if you encounter it organically during your first Pillars of Eternity run, but both halves combined are a pretty good argument for end-gamers to dive back in. For a short while, at least.